One of the most fundamental distinctions between Aḥmadiyyat and mainstream Muslims is that we believe in the continuity of non law-bearing prophethood after the demise of the Holy Prophet MuḥammadSAW which is specialized only for his umma. This belief is not at all against the teachings of both the Qur’ān and ḥadīth, it is instead what both of them actually express. A number of arguments are available to access. Readers who want to know deeper can read books authored by the Holy Founder of this Jamā‘at, his Caliphs, or Aḥmadī scholars on this subject. On this occasion, I am not to elaborate all the elaborations. I am just here to refute an allegation made by the opponents regarding the famous ḥadīth, “Abū Bakrra is the best after me except, if there will be a prophet.” And, of course its relation with the second coming of Jesusas. May it be useful and beneficial for all of us. Āmīn! This ḥadīth is too mentioned by Jalāl al-Dīn al-Suyūṭī in Tārīkh al-khulafā’ p. 40. Al-Mizzī wrote he was thiqa (reliable), and so said Aḥmad b. Ḥanbal, Yaḥyā b. Ma‘īn, and al-Nasā’ī [Tahdhīb al-kamāl, 7/121]. His actual name is ‘Abdullāh b. Shayba b. Khālid. Ibn Abī Ḥātim classified him thiqa [al-Jarḥ wa al-ta‘dīl, 2/83]. His actual name is ‘Abd al-Malik b. ‘Abd al-‘Azīz b. Jurayj al-Makkī. Ibn Ḥibbān included him in al-Thiqāt [al-Thiqāt, 7/95]. Al-Ḥāfiẓ wrote that he was counted as one of the prominent Qurrā’ (reciters) and Ḥuffāẓ (memorizers) in Hejaz, but indicted with tadlīs (concealment). It was true that he was a mudallis, but he did tadlīs only from majrūḥ (criticized) people such as Ibrāhīm b. Abī Yaḥyā and Mūsā b. ‘Ubayda. His ḥadīth from ‘Aṭā’ was valid, as Aḥmad ibn Ḥanbal said ابن جريج أثبت الناس في عطاء, “Ibn Jurayj was the firmest man on the authority of ‘Aṭā’”. He himself said that he had accompanied ‘Aṭā’ ibn Abī Rabāḥ and attended his majlis (class) for seventeen (or eighteen) years. ‘Aṭā’ also made his will that Ibn Juraij should be his successor after his death. Ibn Khirāsh categorized him ṣadūq (truthful), while al-‘Ijlī stated he was thiqa [Tahdhīb al-tahdhīb, 2/618]. His full name is ‘Aṭā’ b. Abī Rabāḥ. Ibn Ḥajar said he was thiqa, faqīh (Islamic jusrist), and fāḍil (noble) [Taqrīb al-tahdhīb, 677]. Ibn Sa‘d, as quoted by al-Mizzī, stated him as faqīh, thiqa, and ‘ālim (knowledgeable). Abū Ḥanīfa said ما رأيت فيمن لقيت أفضل من عطاء بن أبي رباح, “I never saw among the people I had ever met who was more superior than ‘Aṭā’ ibn Abī Rabāḥ,” [Tahdhīb al-kamāl, 6/357]. Abū Ja‘far Al-Bāqirrh said ما رأيت فيمن لقيت أفقه منه, “I never saw among the people I had ever met who was more faqīh than him,” [al-Bidāya wa al-nihāya, 10/148]. As all the narrators are thiqa, this ḥadīth is undoubtedly ṣaḥīḥ li dhātihi (valid in itself). According to the scholars, a valid ḥadīth must be accepted, our opinion and deed must be based upon it and none can transgress. Some argue that there are few weaknesses in this ḥadīth. They say there are three ‘an‘ana in the transmission of this ḥadīth. An ‘an‘ana, pursuant to the scholars, transforms a ḥadīth into the kind of mursal, and, thus, it becomes ḍa‘īf (weak). The answer is that if the narrators of ‘an‘ana are contemporaries with whom they narrated from and they are also also lack of tadlīs, their narrations can be accepted as muttaṣil (connected to the Holy ProphetSAW). Ibn ‘Abd al-Barr and Abū ‘Amrū al-Muqri’ al-Dānī once proclaimed it to be the ijmā‘ (consensus) of the scholars of ḥadīth [Muqaddima Ibn Ṣalāḥ, 61]. In the ḥadīth, three ‘an‘anas are read: Abū Sa‘īd al-Bakrī è Ibn Jurayj è ‘Aṭā’ è Ḥaḍrat Abū Dardā’ra. Abū al-Maḥāsin al-‘Alawī wrote that Abū Sa‘īd al-Bakrī and Ibn Jurayj (from the sixth ṭabaqa or generation of the narrators) were contemporaries. Ibn Jurayj passed away in 150 H, as quoted Adh-Dhahabī from Khālid b. Bazzār al-Īlī [Tadhkirat al-ḥuffāẓ, 1/170]. About Ibn Jurayj and ‘Aṭā’, I do not need to explain again. The above-mentioned explanation is quite enough. Nevertheless, I think I am going to add one more. Ibn al-Madīnī said as quoted by al-Dhahabī لم يكن في الأرض أعلم بعطاء من ابن جريج, “There was none of men who was better than Ibn Jurayj in knowing ‘Aṭā’.” Also, if Ibn Juraij used ‘an’ana in his narration from ‘Aṭā’, it meant he directly listened to him. ‘Aṭā’ himself was born in the reign of Sayyidunā ‘Uthmānra, or said to be born in the reign of Sayyidunā ‘Umarra, and died in 114 H or 115 H [Tadhkirat al-ḥuffāẓ, 1/98]. He rose in Mecca. In accordance with that, Ḥaḍrat Abū Dardā’ ‘Uwaymirra died two years before the martyrdom of ‘Uthmān b. ‘Affānra (33 H). Or, as some historians say, he died after the Battle of Ṣiffīn (48/49 H). So, ‘Aṭā’ and Ḥaḍrat Abū Dardā’ra were contemporaries, even if for a short time [al-Istī‘āb fī ma‘rifat al-aṣḥāb, 4/1648]. Ibn Kathīr wrote that ‘Aṭā’ met two hundred Companions [al-Bidāya wa al-nihāya, 10/148]. It meant that he listened to great Companions [al-Nujūm al-zāhira, 1/350]. Sayyidunā Abū Dardā’ra was undoubtedly one of the great Companios. The Holy ProphetSAW even dubbed him the ḥakīm (prudent) of this umma [Musnad al-shāmiyyīn, 2/88, no. 967]. Let alone there was a unequivocal saying from ‘Aṭā’ himself ما اجتمعت عليه الأمة أقوى عندنا من الإسناد, “This umma will never get together over an isnād (chain of transmission) that is stronger than what belongs to us,” [Ḥilyat al-auliyā’, 3/314]. Thus, the conclusion is, this ḥadīth is infallibly ṣaḥīḥ. His full name was ‘Alī b. ‘Abdillāh b. Mubashshar al-Wāsiṭī. Al-Dhahabī called him imām and thiqa. He was also utilized by Imām Muslim in his Ṣaḥīḥ [Siyar a‘lām al-nubalā’, 5/25-26]. His complete name was ‘Abdullāh b. ‘Abd al-Mu’min b. ‘Uthmān al-Arḥajī al-Wāsiṭī. Ibn Ḥibbān categorized him thiqa in al-Thiqāt [Tahdhīb al-kamāl, 5/216]. I have already given the profiles of ‘Umar b. Yūnus, Ibn Jurayj, ‘Aṭā’, and Ḥaḍrat Abū Dardā’ra. Therefore, no need to repeat. Abū Bakr here is majhūl al-‘ayn (unknown personality), his actual name is not known. However, an unknown narrator’s narration can be accepted on the condition that an Imām who never narrates apart from the thiqāt narrate from him. This is a tawthīq or legitimation for him. There is a principle: إذا روى إمام –عرف أنه لا يروي إلا عن ثقة- عن راو فهو توثيق للراوي وحكم بعدالته عند ذلك الإمام, “If an Imām, who is recognized that he never narrates apart from thiqa, narrates from a majhūl al-‘ayn narrator, it is then tawthīq for the narrator for his justice in the Imām’s eye.” Moreover, there is another principle:ترتفع جهالة العين برواية ثقة أو راويين عنه, “Status of being majhūl al-‘ayn is released by a narration of one or two thiqa persons from him.” Thus, as ‘Umar b. Yūnus always narrated from none other than the trustworthy and he was too thiqa, his narration from Abū Bakr implies that the latter, pursuant to former’s view, was a thiqa. In addition to this, Abū Bakr had also another shāhid (narrative witness) from the chain of his other teacher, ‘Ikrima b. ‘Ammār, who was thiqa (his profile will be recognized in the next paragraphs). It means that Abū Bakr’s narration is acceptable as it matches ‘Ikrima’s narration. 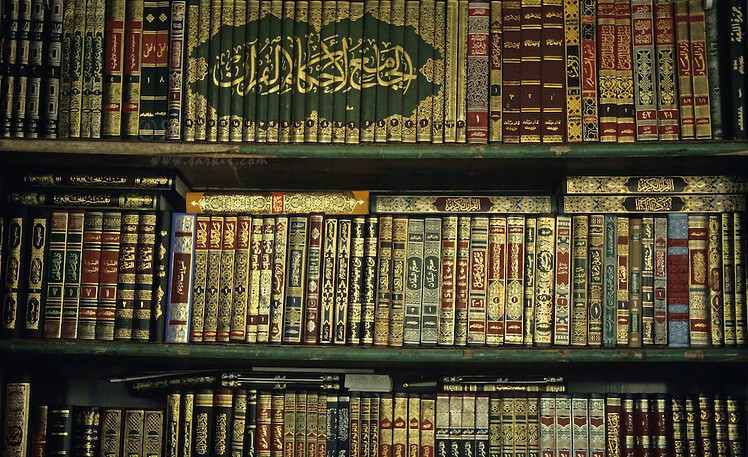 We can conclude from all this annotations, that this ḥadīth is undeniably ṣaḥīḥ. Based upon the scholars and Imāms of ḥadīth, a ṣaḥīḥ kind of ḥadīth must be accepted and practiced. The second matan. 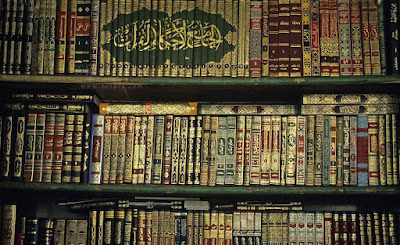 This text can be found in various books of ḥadīth. We can read it in al-Rauḍ al-‘anīq, al-Muttafiq wa al-muftariq, al-Kāmil fī ḍu‘afā’ al-rijāl, Majma‘ al-zawā’id, al-Jāmi‘ al-ṣaghīr, Fayḍ al-qadīr, al-Fatḥ al-kabīr, Kanz al-‘ummāl, Kashf al-khifā’, Simṭ al-nujūm al-‘awālī, Tārīkh al-khulafā’, and Kunūz al-ḥaqā’iq. I am going to explain one by one. This matan is the same as what written in al-Muttafiq wa al-muftariq. The difference is that there is nothing sort of ‘an‘ana, but ṣīghat al-taḥdīth is used. His actual name was Ghaylān b. Muḥammad b. Ibrāhīm b. Ghaylān b. al-Ḥakam. His kunya (paedonym) was Abū al-Qāsim al-Hamdānī al-Bazzār [Tārīkh Baghdād, 14/291]. Al-Khaṭīb al-Baghdādī, as quoted by al-Dhahabī, categorized him thiqa [Tārīkh al-Islām, 28/406]. 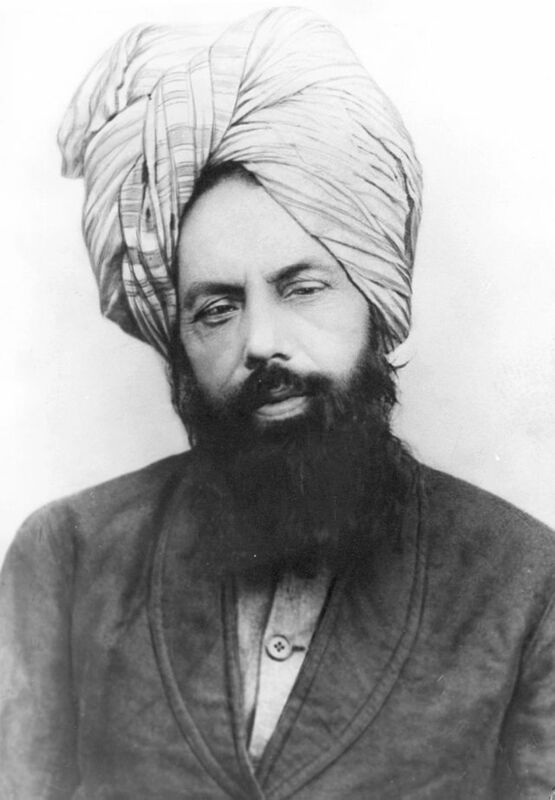 His actual name was Muḥammad b. ‘Abdullāh b. Ibrāhīm b. ‘Abdirabbih (or as some write, ‘Abdiwayh) al-Baghdādī al-Shāfi‘ī al-Bazzār, al-Khaṭīb mistook typing the correct name. He categorized him thiqa thabat, while al-Dāruquṭnī stated him thiqa, ma’mūn (trusted), and jabal (mountainous). Al-Dhahabī dubbed him a ḥujja (argument), mufīd (beneficial), the muḥaddith of Iraq [Hadiyyat al-‘ārifīn, 2/44; Tadhkirat al-ḥuffāẓ, 3/880]. تفرد به إسماعيل هذا، فإن لم يكن هو واضعه فالآفة من دونه، مع أن المعنى حق. Ismā‘īl was not here mutafarrid. I have already mentioned above two ḥadīth that were not from the ṭarīq of Ismā‘īl b. Ziyād, but from ‘Abd al-Raḥmān b. Ḥumayd and ‘Abdullāh b. ‘Abd al-Mu’min. If it is said that ‘Umar b. Yūnus was also mutafarrid, the answer will be that tafarrud (lonely standing) of a thiqa is accepted as it is common in the sight of the scholars. His full name was ‘Ikrimah ibn ‘Ammār ibn ‘Uqbah ibn Ḥabīb ibn Shihāb ibn Dhubāb ibn Al-Ḥārith ibn Ḥimṣānah ibn Al-As‘ad ibn Judhaima ibn Sa‘d ibn ‘Ijl Al-‘Ijlī. An-Nasā’i said there was no problem with him apart his narration from Yaḥyā ibn Abī Kathīr. Aḥmad ibn Ḥanbal said he was tumultuous of ḥadīth (muḍṭarib-ul-ḥadīth) from apart Iyās ibn Salamah, while his narration from Iyās was good (ṣāliḥ). Yaḥyā ibn Ma‘īn dubbed him thiqa thabat ḥāfiẓ. ‘Alī ibn Al-Madīnī and Ya‘qūb ibn Shaiba said he was thiqa thabat. Abū al-Ḥasan Al-‘Ijlī, Abū Dāwūd, Muḥammad ibn ‘Abdillāh ibn ‘Ammār, ‘Alī ibn Muḥammad Aṭ-Ṭanāfisī, Isḥāq ibn Aḥmad, Ad-Dāruquṭnī, Ibn Ḥibbān, and Ibn Shāhīn dubbed him thiqa. Abū Ḥātim, As-Sājī, Ṣāliḥ ibn Muḥammad, and Ibn Khirāsh categorized him ṣadūq. Ibn ‘Adī said he was straight of ḥadīth (mustaqīm-ul-ḥadīth) if he narrated from a thiqa. ‘Āṣim ibn ‘Alī said he was accepted (mustajāb-ud-da‘wah) [Tahdhīb at-Tahdhīb, 3/133-134]. His kunya was Abū Bakr Al-Madanī. Ibn Ḥajar said he was thiqa [Taqrīb at-Tahdhīb, 156]. Yaḥyā ibn Ma‘īn categorized him thiqa [Siyar A‘lām an-Nubalā’, 5/244]. About Ḥaḍrat Salama ibn Akwa‘ra, I do not need to explain further. Even a mediocre student (ṭālib) knows that every Companion is ‘ādil, their narrations are accepted. From all the informations, we can conclude that this ḥadīth is ṣaḥīḥ li dhātih, or at least ḥasan. You know that either ṣaḥīḥ or ḥasan must be accepted and implemented. Ḥadīth with this redaction is too narrated in Majma‘ az-Zawā’id 9/8, Al-Jāmi‘ Aṣ-Ṣaghīr p. 39, Faiḍ al-Qadīr 1/90, Al-Fatḥ Al-Kabīr 1/19, Kanz al-‘Ummāl 11/549, Kashf al-Khifā’ 1/33, Simṭ an-Nujūm al-‘Awālī no. 78, and Tārīkh al-Khulafā’ p. 40. According to Al-Munāwī, the adverb من بعدي came off from the pen of the author (Ibn ‘Adī). His full kunya was Abū al-Ḥasan Al-‘Ūdī. Ad-Dāruquṭnī said he was thiqa [Su’ālāt al-Ḥākim, 147]. His full name was Aḥmad ibn Haitham ibn Khālid. His kunya was Abū Ja‘far Al-Bazzār Al-‘Askarī. He is thiqa [Su’ālāt al-Ḥākim, 90]. Thus, this ḥadīth is irrefutably ṣaḥīḥ wājib-ul-qubūl. In Kunūz al-Ḥaqā’iq, we read a ḥadīth with the same meaning but differ in the matan. This version is too mentioned in Al-Amālī of Abū Bakr ibn Al-Bahlūl no. 105 and As-Sunnah of Abū Bakr al-Khallāl no. 376. This is ḍa‘īf as this is mursal. Sulaimān ibn Yasār did not directly listen to the Holy ProphetSAW, he was a tābi‘. Depend on its matan, it is also clearly tumultuous (muḍṭarib) as Ḥaḍrat ‘Umarra is mentioned after Aṣ-Ṣiddīq Al-Akbarra with واو العطف which signifies equalization, while no doubt for us that Abū Bakrra is the best of the two.